A new “hairstyle” is one of those things that can fill you with absolute horror or have you chomping at the bit with a heated roller. I am a big fan of an updo and love nothing more than trying out a new style. 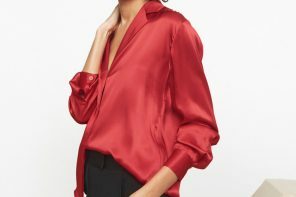 Luckily I have the kind of hair that will do more or less what I want and years of backcombing it into siouxsie sioux/bananarama type, fright night styles, means I don’t find trying out a new style too challenging. If the thought of doing anything more than applying a ‘pea sized amount’ of Frizzease – which lord only knows we all need at the moment with all this rain – fills you with horror, there are all sorts of online tutorials to walk you through a new do. Unfortunately they are mostly by 20 years girls called Lauren from Illinois, who think we have more than five minutes to spend on our ‘look’ for the day, but it’s worth checking out YouTube if you fancy having a go (turn off the sound)! 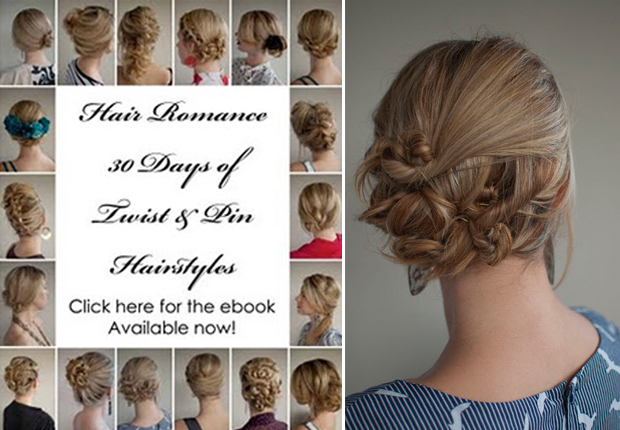 Or for £6, you could download 30 Hairstyles in 30 Days, an ebook containing over 30 hairstyles and tutorials around romantic, messy, plaited looks. 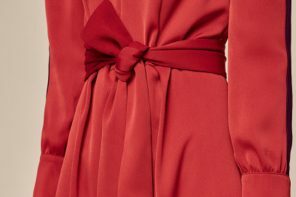 The best thing about these plaited updos, is that there’s no right or wrong, as messy is good, so even if you can’t get it quite right, it doesn’t really matter. 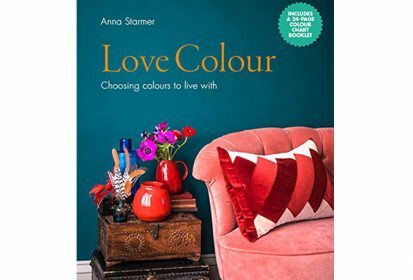 But if you have a special occasion and dont feel inclined to spend hours sweating and swearing and pulling your hair out (literally), you could just go to the hairdresser with a picture! 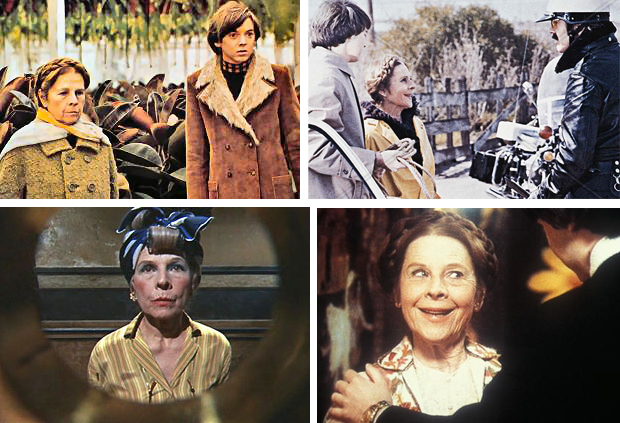 My favourite ever plaited hairspiration comes from Ruth Gordon as Maude in the fabulous cult film Harold and Maude – and check out her ‘do’ out in Rosemary’s Baby! My daughter spends every morning yelling from the bathroom that she needs more bobby pins! I’m pretty sure the dog has eaten a few but the others are probably nestled in the depths of yesterdays messy fishtail inside out french braid. You need about a million bobby pins to make it look like you haven’t used any! 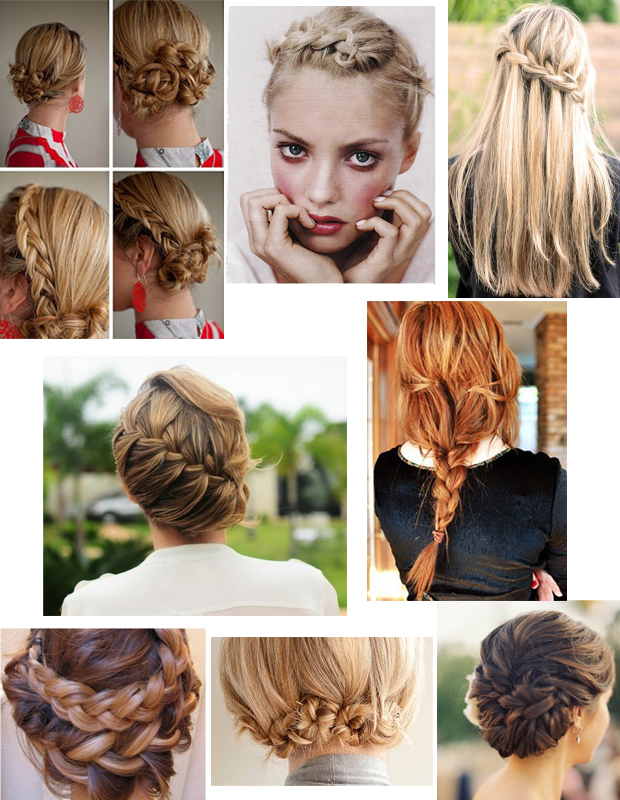 I have long hair and regularly put it up (badly) – I have tried out some of these lovely plaits, but never seem to have enough hands! I found this clip.I don’t know if it will work though.http://www.youtube.com/watch?v=cWEcF4cRF8o Fingers crossed.